If bandwidth at your event permits, stream live video and audio. 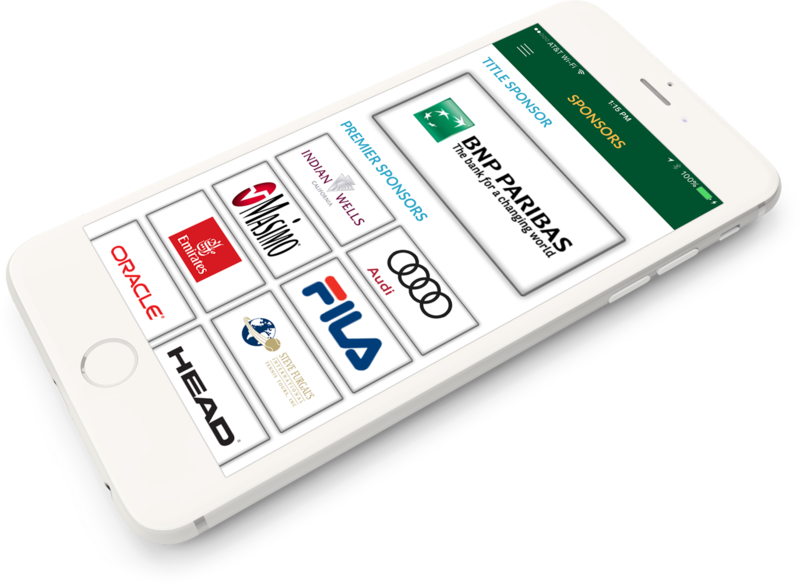 At the BNP Paribas Open in Indian Wells our App was used to stream 9 live courts of action via a partnership with ATP Media and the Perform Group. The App also featured the live BBC Radio feed. The Gameday Platform works with your existing social media accounts allowing you to interact with attendees at your event via one integrated tool. Users can share texts & photos to the App, your social media accounts & directly to the scoreboards around your event. 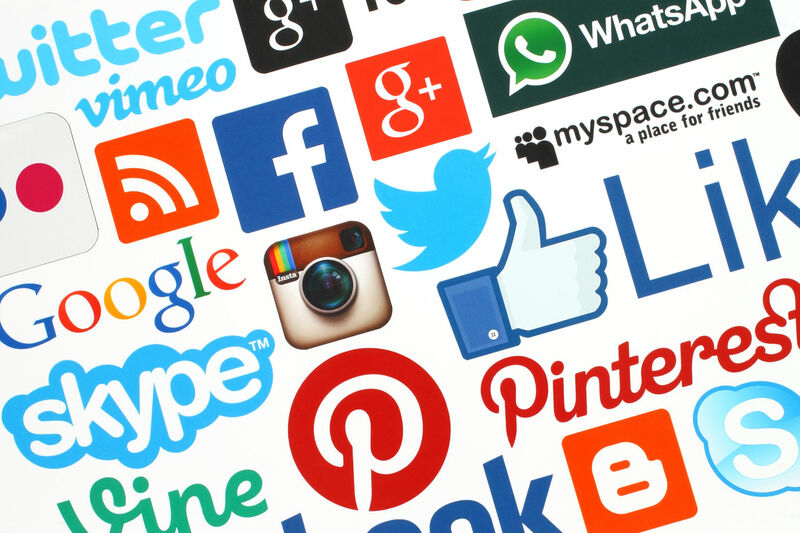 The Platform supports discussions, polls, quizzes and games. Fans can see through marketing ploys. With the Gameday App, create authentic experiences where you and your sponsors give fans what they want. Think of the Gameday Platform as a toolset. Maybe you want to reward fans with a VIP experience, or perhaps you want to allow tweets and image posts to be shown on the scoreboard or website. All of these and more are possible. 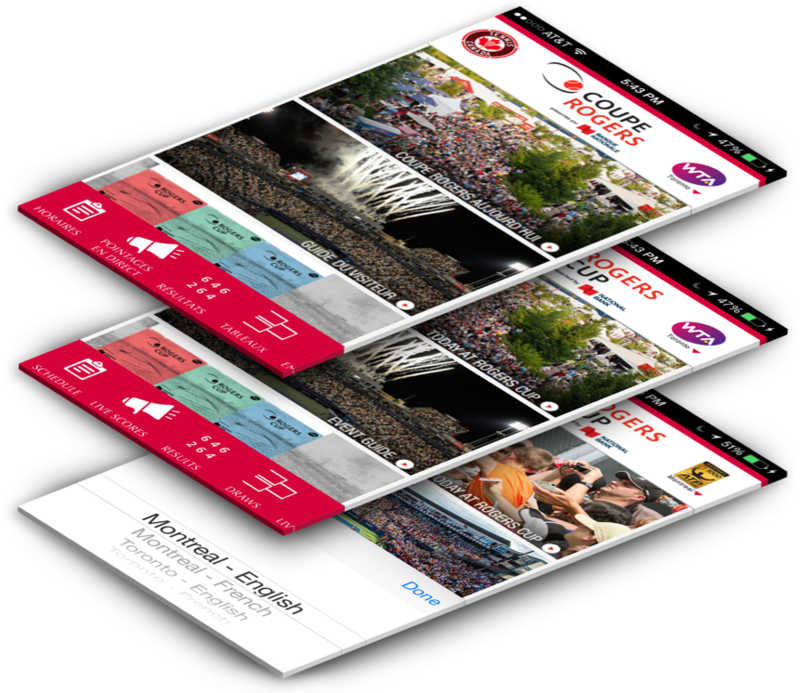 Let Fans experience interactive aspects of the App directly on the event video and scoreboards. Show poll results, fan social posts, user-submitted images and more. Let fans know that they are important. Reward their participation and involvement in your programs. The Gameday Platform supports multiple languages. All graphics, video, content, feeds and venue options can be changed to reflect the user’s native tongue. Language options can be managed via our CMS. 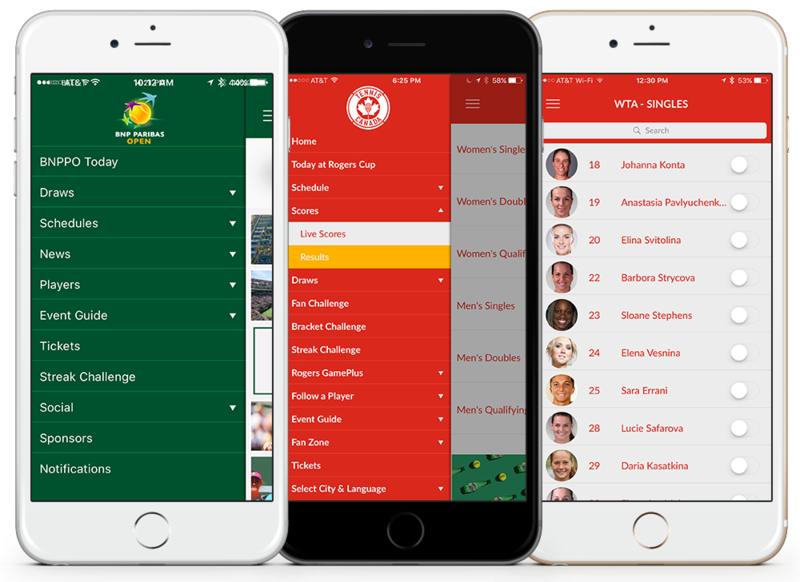 If your event spans multiple venues such as Canada’s Rogers Cup – which takes place in both Montreal and Toronto – your app can be configured to allow users to select the venue they are attending and all content changes to reflect the relevant content in the venue. It’s like having multiple apps in one! 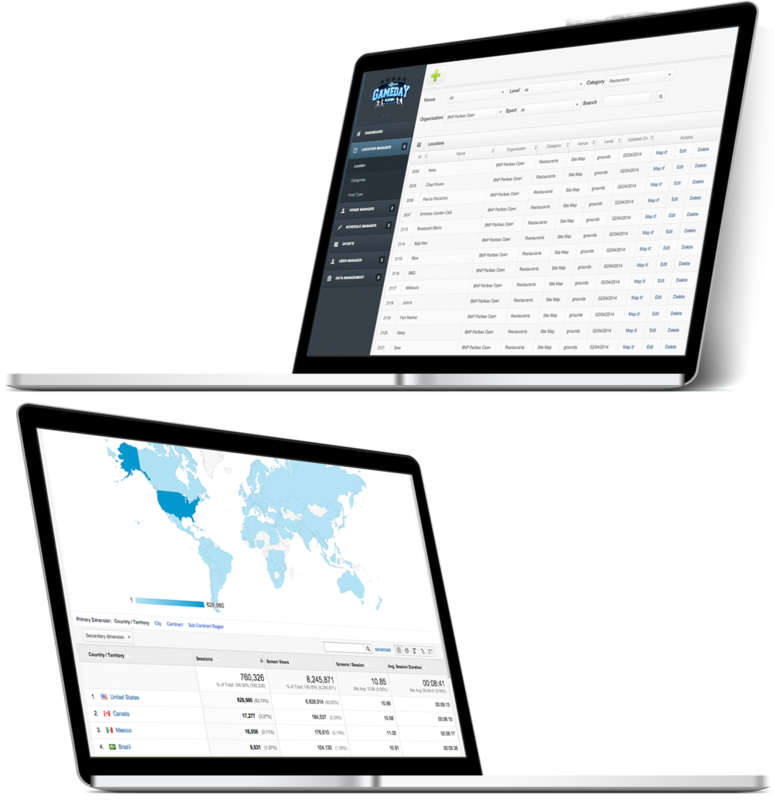 Map all of your venues with full seat view capabilities. Our cloud-based CMS makes it easy to inventory all locations inside and around your grounds. Our mapping toolset allows users to locate all locations & to share important locations. Users can even store their car location. Tournament staff can can target offers & deals based on the user’s location around the grounds and inside the stadium. 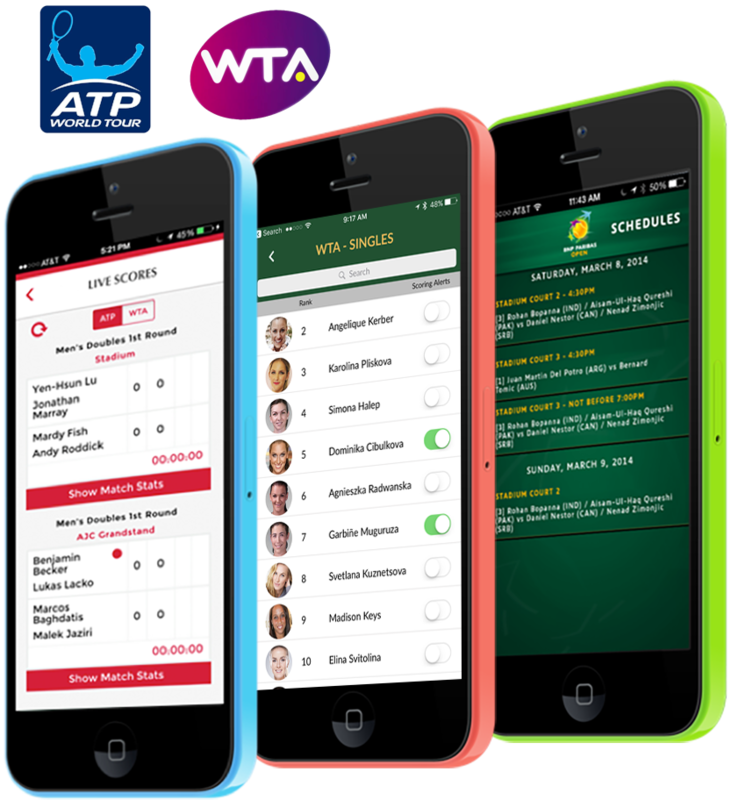 If you’re are interested in our Tennis Gameday Platform for your tournament or event, please fill out the form and let’s begin the process. Be sure to describe your event, let us know the dates, the website URL of your event, your estimated budget and the specific features you are looking for. The answers to many common questions can be found in our FAQs.